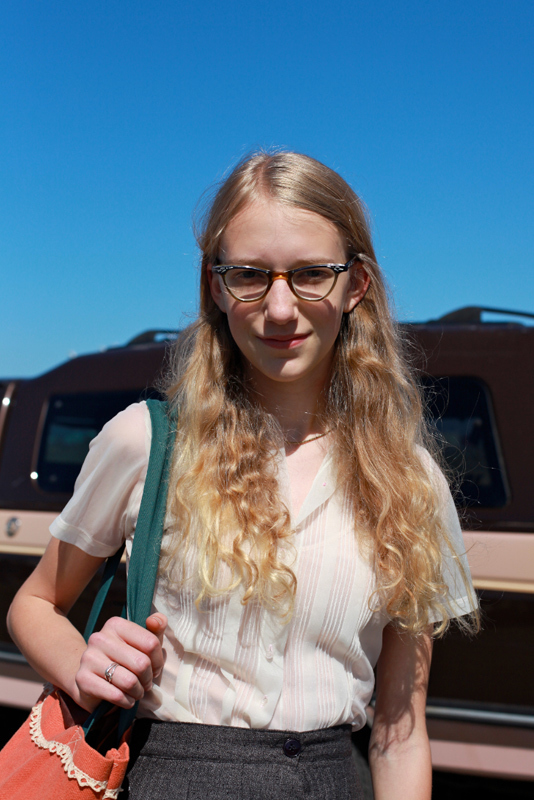 "Well I like this shirt because I really like sheer shirts and layering things underneath them. What do I see for fall? Longer skirts. I really like Rodarte, I guess. I got this nice beaded sweater earlier, so good quality sweaters and fur collars." Sonja is quickly becoming one of my local style heroes. Who else can elevate well-worn shoes, a blouse, and skirt to this level of fashionable nonchalance? 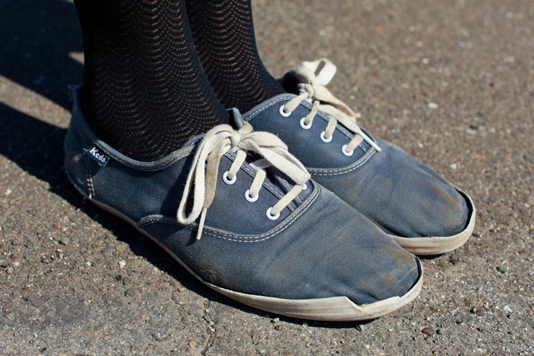 Great herringbone tights with her beat-up Keds.